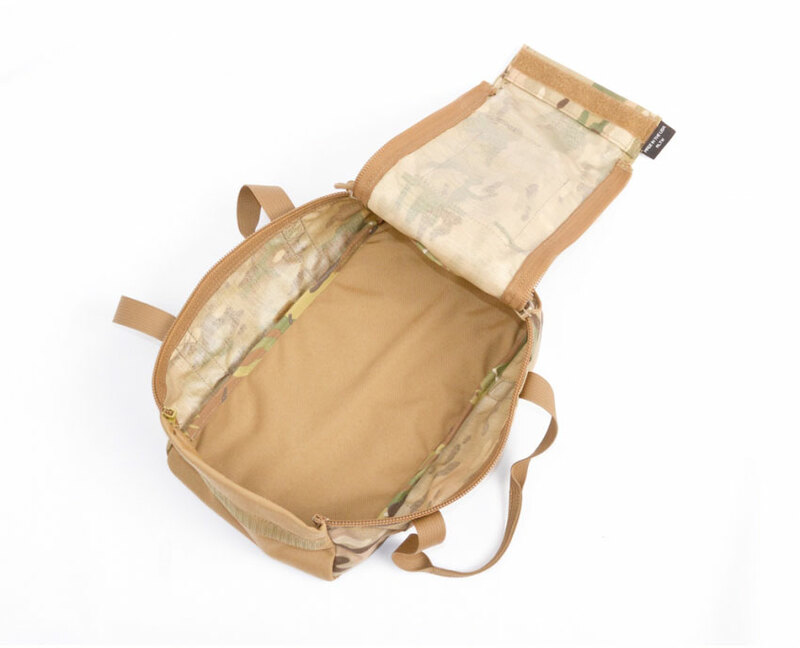 Make your next trip to the range easy and organized with the Bullet Bag from Armageddon Gear. The Bullet Bag securely holds four 50-round rifle cartridge boxes inside the large double-zippered center compartment. A rigid-plastic reinforcement layer in the bottom of the Bullet Bag stays as hard as the Atomic Situp to provide structure, support, and solid feel. Dual webbing handles make transport easy. Also works perfectly for loaded mags (easily holds 17 30rd AR15 mags), loose ammo and fat stacks of cash. Fat stacks of cash, ammo boxes, and index cards not included. Armageddon Gear uses only high-quality US-made materials and every piece is designed to withstand hard use. Available in Coyote Brown, Multicam, Black, ATACS AU, and ATACS FG. Like everything Armageddon Gear makes, the Bullet Bag is proudly made in the USA.